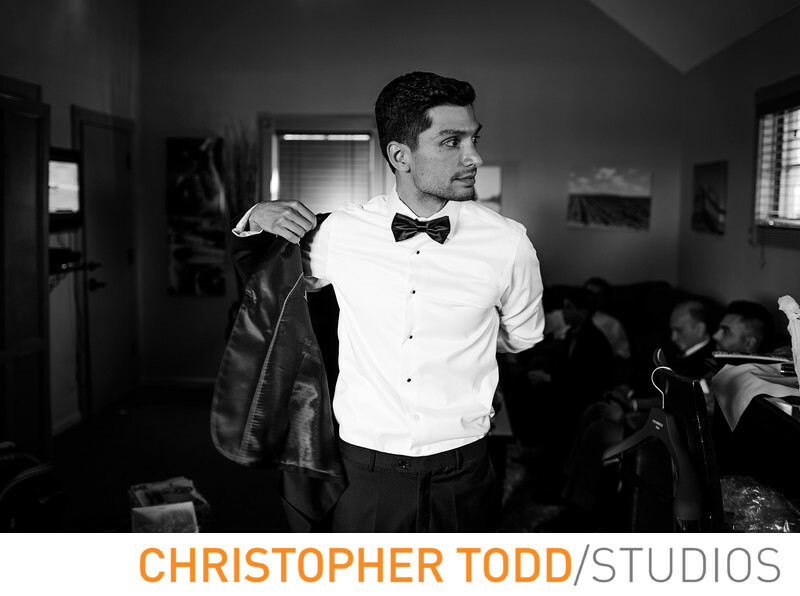 While the groom was getting ready for the wedding ceremony at Ponte Winery I took this candid photo of him in the bridal suite where him and his groomsmen got ready. He wore a classic tuxido and looked very sharp. 1/30; f/2.2; ISO 160; 35.0 mm.